Not sure if you remember, but you answered a question before the AFC Championship Game. I asked about blitzing and rushing with more than four. You stated that you take the chance of someone getting open. During that game, Patriots quarterback Tom Brady had a lot of time to throw the ball. Any chance we change the style of play this game? I figure what's the harm, and we could learn for if we play them in the playoffs. Of course, I remember. 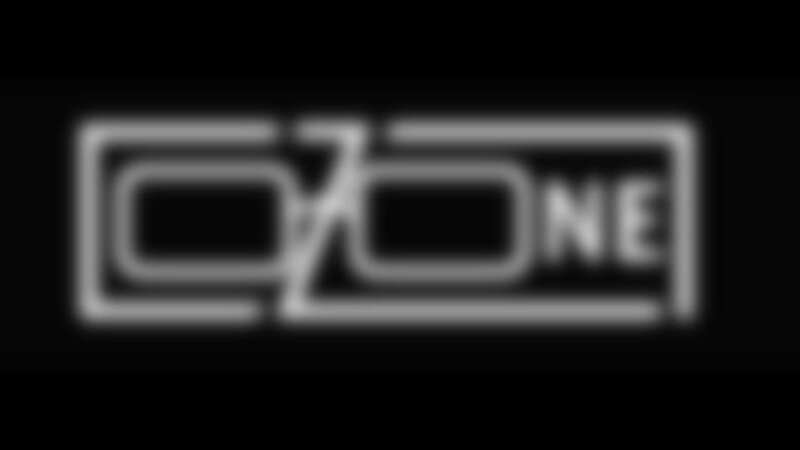 I remember not only every O-Zone question from the week before the AFC Championship Game, but every O-Zone question I ever have answered – not to mention every remotely significant event that ever has occurred in my endlessly fascinating life. Think of me as the Sean McVay of senior writers – or, perhaps more accurately, think of McVay as the O-Zone of NFL head coaches. As for my answer, I can’t remember what I said … though I imagine it was something along the lines of blitzing not being the end-all defensive tactic because rushing with four linemen gives you a better chance of covering wide receivers on the back end – and with a pass rush as good as that of the Jaguars, you must trust your ability to get to the quarterback with four down linemen. The Jaguars indeed got burned by that approach in the second half of the AFC Championship Game – at least in part because ends Calais Campbell and Yannick Ngakoue were less than 100 percent physically by the end of that game. I have a feeling you’ll see a blitz or two – or more – dialed up by the defense on Sunday. But I don’t think you’ll see the Jaguars go all-out blitz all the time against New England. The blitz is not the end-all solution to all the world’s defensive problems. If that were the case, all teams would blitz all the time. I said that once. I think. Or maybe not. Stadium will be ELECTRIC on Sunday's game against the Pats! No worries ... Duval Boyz are all over this! Go Jags! 2-0. So, in your honest opinion do you think Sunday is going to be a nail-biter, down-to-the-last-second affair like the AFC Championship Game was? Or will this be one team establishes dominance early and never looks back? I mean Jags were all over it in the title game and lost those last four minutes. I really hope the Jaguars learned something from that and take the gloves off. Score every chance you get and don't get conservative. I have a good mind to give you my “dishonest” opinion, but what the hey: I’ll throw you a bone and go the other direction. I understand the perception that the Jaguars didn’t “take the gloves off” in January. I really do. I also understand that they were backed up in their own territory with an offensive line that was struggling to pass block and run block at the time, and that taking the gloves off at that point could have spelled disaster. Remember: the Jaguars tried to “take the gloves off” with a pass after a pitch back to the quarterback and Blake Bortles got sacked on the play. As for how I think Sunday will go, I think the Jaguars will win big – 10 points or more – or the Patriots will win a close game. I’m leaning toward the former for now. Goodness gracious, no. Fournette is an every-down power back with speed. Grant is largely a package back who depends almost solely on his speed but brings comparatively little in the way of power. I’ve openly not been a Bortles fan for a long while (I’m still not); but I’ve learned something: That’s my team. That’s the Jags. We have arguably one of the most talented defenses to step on a football field (along with the 80s Bears, Ray Lewis-era Ravens, and Legion-of-Boom Seahawks). So, as long as Bortles doesn’t lose the game for us, it’s still a blast and one hell of a ride. This team is fun to watch, particularly on defense, so while fans gonna fan; I’m gonna enjoy. Go Jags! John, we heard in the offseason how they loved all three of our running backs. Why did Corey Grant not see more once Leonard Fournette went out against the Giants? If you’re waiting to see Grant used extensively as an every-down back in the Jaguars’ base package for an extended period, you’re going to be waiting for an extended period. Or for a slew of injuries. Can you tell us the story about when you got beat up in high school? Big O, I have a question regarding a recent question that asked whether the Jaguars coaches might hold back on the playbook against the Giants to provide less intelligence for the Patriots to use for their game plan. You answered simply with, "no." I am assuming that, in part, your response means that the coaches will not in a real game put the vanilla product on that they do in the preseason. I am guessing that for any given regular-season game, the entire playbook is going to be available if necessary to win the game. However, if the Jaguars control the game from start to finish as they did against the Giants in Week 1, does that not allow the coaches to limit the playbook such that things end up being held back from the view of the Patriots? I was asked if the Jaguars’ coaching staff might have intentionally hidden an aggressive game plan against the New York Giants to hide it from the New England Patriots. This implied that the Jaguars might have entered the Giants game not thinking they needed to give maximum effort or maximum resources to win that game. This isn’t high school or college football. It’s the NFL. Any team can beat any team. You put everything you have into the game on the schedule, hope that’s enough to win it, then move into the next game. You don’t game plan for a game thinking about the next one. Oh man, I know I'm supposed to raise my expectations based on this team's talent level, but is it OK if I'm still just happy watching a team that's competitive every single week after sitting through so many blowouts since 2007? This is a lot more fun. I like it. Last week, we played lots of zone to keep everything in front of the secondary. Do you see the approach changing this week for the Pats? I think the Jaguars will play more man-to-man against the Patriots than they did against the Giants. I don’t think they will play all man-to-man because you can’t do that in the NFL and expect to stop the opposing offense. Sometimes I just sit in silent wonder after I read the O-Zone. Sometime the shock lasts a while. AFC Championship the second half the Jags were shut down. Against the Giants the second half the offense was shut down. I am seeing a theme here. Are the Patriots going to shut this mild offense down in the second half next week? Where is our killer instinct? The Jaguars scored the game-winning touchdown in the fourth quarter against the Bills and held off the Steelers with 17 fourth-quarter points. Was that a trend, too? King Fresh Funk-dizzle rizzle, I just read a spot on ESPN that Jaguars Head Coach Doug Marrone doesn’t watch Super Bowls. I also didn’t watch last year’s Super Bowl due to the circumstances surrounding the legitimacy of the New England victory in the AFC Championship game. I was only aware of the game due to neighbors firing mortars off after every Eagles score. All said, I agree with Coach because no one believes me when I tell them I never saw the Philly Special (live or in replay), did you watch the Super Bowl, Sir O zone? I had it on. I didn’t watch closely. It wasn’t out of a protest of the AFC Championship Game or any great philosophical stance. It was just how it was. Had to end with Logan. Sometimes you end with the best. Sometimes you take a different approach.